On October 2, 1894, Sara Kolb Danner was born in New York City. 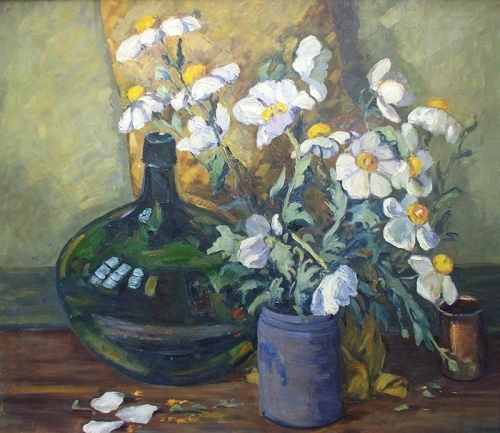 She was raised in Philadelphia, PA where she studied at the Pennsylvania Academy of Fine Art under Harry Snell and the Philadelphia School of Design for Women. Later in her career she also studied at the Massachusetts Normal Art School under George L. Noyes, Stanford University and UC Santa Barbara. In 1917, she married her first husband William Danner. The couple moved to Santa Barbara in 1926. Sara Kolb Danner is renowned for her skill as a landscape artist. She was a member of various California art organizations and received several recognitions for her accomplishments in fine art. The theater of the Pennsylvania Academy of Fine Art is named after her. During her lifetime, she was also an accomplished poet, contributing regularly to The Saturday Review. 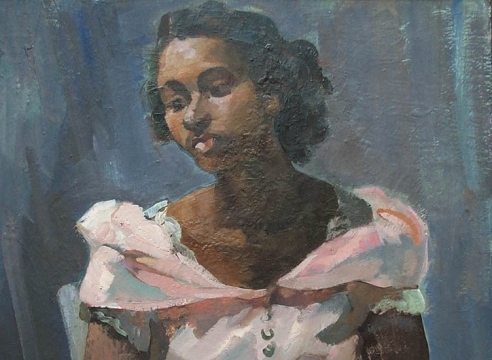 In 1952, the Stanford Press published her poetry and paintings in a book titled Gallery Tour. 1. California Art Club, accessed 4/15/07, http://www.californiaartclub.org/history/history_cacpastmem_a-d.shtml . 2. Cleek, Patricia, “Santa Barbara’s Riviera and the Eucalyptus Artists,” Noticias: Quarterly Magazine of the Santa Barbara Historical Society, Vol. XLVIII, No. 2, Summer 2002, p. 29-43. 4. Falk, Peter Hastings ed., Who Was Who in American Art: 1564-1975, Vol. I, Madison, CT: Sound View Press, 1999. 5. Hughes, Edan Milton. Artists in California: 1786-1940. Third ed., Vol. I, Sacramento, CA: Crocker Art Museum, 2002. 6. “Sara Kolb Danner,” AskArt.com, accessed 4/15/07.